James Cameron gave up creative control when the Avatar franchise took over. Photo: Gage Skidmore @ Flickr. Alita: Battle Angel answers the question: what happens when someone sacrifices a directorial role on their passion project just to get it into cinemas? 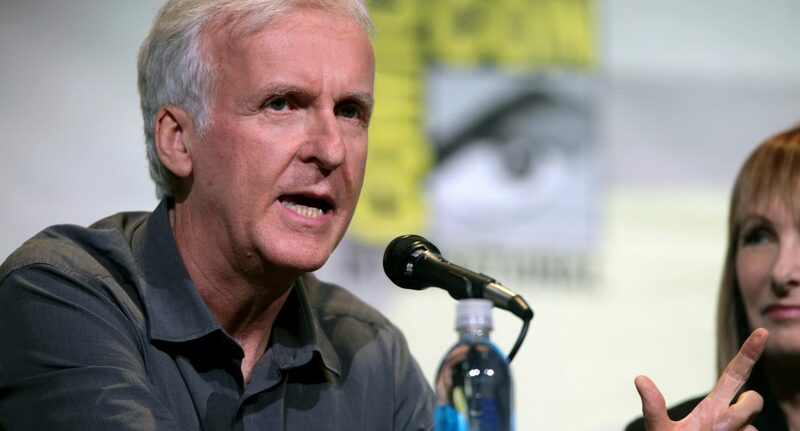 James Cameron announced the film over 15 years ago, in 2003. However, after Avatar (and its sequels) took precedence, he handed over role of director to Robert Rodriguez in 2016. To me, this seems like the main reason the film didn’t quite reach its expectations. It was almost great but somehow managed to fall short at nearly every hurdle. The story begins in a quasi-post-apocalyptic 25th Century, following on from what is only described in this film as ‘the fall’. Dr Ido (Christoph Waltz) comes across the remains of a cyborg resembling a teenage girl. As the town’s local mechanical doctor, he combines the cyborg with a spare body, and we are introduced to Alita (Rosa Salazar). We follow Alita’s rediscovery of who she was before being found in the junkyard while she fights other cyborgs and ‘hunter-killers’. As well as her ascension through the ranks of a sport called Motorball, which can only be described as a mix between pod racing and basketball. All of these set it up to be quite an exciting movie but here is why it flopped: the battles were really exciting but every time they were just getting started, they were over. On top of this, Alita never really faced a challenge from the film’s antagonists. Grewishka (Jackie Earle Haley) comes closest to beating her but within moments of her seeming to be in trouble, she triumphs again. There is no doubt this is done to highlight her power, but it just makes the whole film quite unsatisfying and repetitive. My greatest issue with Alita: Battle Angel is that the two love interests had absolutely no chemistry; they didn’t even seem to be good friends. This might be down to an unconvincing performance from Keean Johnson but it was more likely to be caused by the lazy dialogue which at times seemed like it was pulled straight from a corny American high school movie. Nevertheless, this wasn’t a waste of time. The film itself was beautiful, and rarely reminded me that it was teeming with computer generated characters and landscapes. The relationship between Dr. Ido and Alita was actually quite touching, despite the poor script; this can definitely be attributed to Waltz’s convincing portrayal of a consistently worried paternal figure. In the final 20 minutes of the film we are treated to an exhilarating game of Motorball, which could perhaps have been extended, but provided a ton of entertainment while it lasted. Despite these compliments, Alita: Battle Angel just missed the mark completely, which is now being reflected by a massive loss in the box office. This will make it interesting to see if Rodriguez is kept on for the sequel, having been set up with loose ends and a cliffhanger.